In this lesson, I will teach you how to build a powerful information marketing business online and make huge money from it. One of my best strategy to make money online is though information marketing. 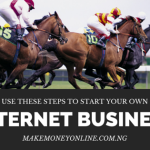 It’s a very simple online business idea that you can start right now. 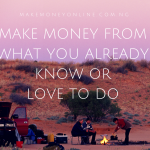 Personally, I make most of my income online from information marketing. Very simple way to make money online and we call it information marketing. I will show you examples and how to start in this lesson. Just like affiliate shop, Information marketing business is a good business to do especially if you don’t know how to write articles that much. All you need is to create a squeeze (sales) pages and you are good to go. The other thing will be to drive traffic to that sales pages to generate sales of the promoted information products. (a) You enjoys 100% or the sales profit (if you are the owner of the information product), unlike affiliate marketing where you earn sales commission. (b) You are your own boss because you own your own business. Who Can Do Information Marketing Business? In fact anybody can do this business. In fact you can sell any idea online. It could be what you love or already know. 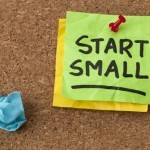 All you need is a simple guidelines on how to start it. Let’s see it this way, if you have ever looked for any particular information, know that other peoples are looking for that information too. See for instance, if you an armature singer, know that there are a thousand and one people out there who are looking for the basic skills to sing a song. Then why not write an ebook and sell to them? I make over N15,000 per day (although seasonal by selling JAMB Past Questions Online). JAMB Past Questions are readily available in the local market at the price of N200. So, I compiled all the JAMB past questions and offered on my blog at the rate of N500 per subject. I sat down and compiled all the Frequently Repeated JAMB Past Questions and sold at the rate N1500 for each subject and N5,000 for four subjects combination. Have a look at my sales page. Can you imagine the result? … over 3 people buys it everyday at the rate of N5,000. Some days I sell even more. As simple as it is, I make sales there because of of simple innovation. Another example (FRESH)… Do you know that 60% of Nigerians are job seekers and a greater percentage of them needs job interview past questions for them to prepare for the next interview? I bet you… you can be the next millionaire if you can compile all the company specific job interview past questions and sell to them. Another examples (FRESH)… Skill acquisition skills -these are something like importation guide, catfish farming, modeling, excessive, weight loss, organic eating, cooking, wedding etc. So many areas you can create eBooks and sell right now. The steps are simple too. You can do it even if your are worker or a student. It doesn’t take much of your time but at the end, you will build a sustainable information marketing business online. 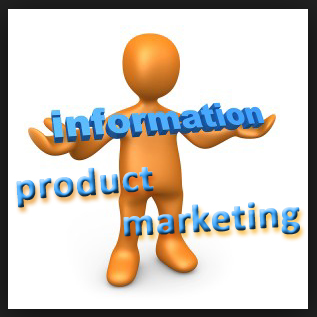 (1) Decide on what Niche you will build your information product. Let’s say importation guide. (2) Write your ebook: After deciding on the topic, go ahead to write your eBook. Make sure you do your research very well to be sure that all the information in the eBook are factual and up-to-date. (3) Design your eBook Cover: your eBook covers speaks better when it comes to your ebook marketing. It has to be very attractive and captivating. I recommend you use eBook Cover Creator to design your eBooks. I like their design. You can try it for free and see how simple it could be to get a stunning eBook covers. (1) Sell to your Blog readers: There are many ways to market your eBooks online. One of my best method is to sell it directly to readers of my blog. You can simple create a blog and sell your eBooks to your blog readers. (2) Sell on Online Stores: If you don’t have a blog yet, you can also sell your eBooks on top eBook Marketing sites such as Amazon, Konga, Jumia etc. (3) Develop an App for it: For you to have a high readership base for your eBook, you simple create a app with it so that people can read it with their android or IOS devices. (4) Create a Sales Page: Another method (used by experts) is to create sales page to sell your eBooks. This page will act as a squeeze page where you sing all the praises about your eBook to encourage reader to click the “buy now” button. (5) Build Subscriber Email List: This one of the most effective ways to sell your information products. So, try and build a list of subscribers who may eventually becomes buyers of your eBooks or other information products. This is the combination of information marketing and email marketing. (6) Advertise: Lastly, if your eBook is very valuable, you may need to run some advertisement. You can advertise on Facebook, Youtube or Google Adword. For over 2 years I have been in information marketing business, all I can say is that information marketing business is incredible. I make most of my online income from it and so you can. 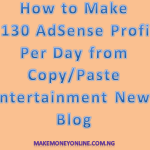 You can begin to make money from it even before you get AdSense approval with your new blog . Try this and you will surely smile the next time you visit your bank. I have taken time to read your posts on (1) The blog that can earn $2000 a month. and (2) A powerful information marketing business. My question is : I intend to use mrr. e-books as my products to sell, there are over 100 e-books. Can I use a blog or an e-commerce site. How much can I hope to spend for a site like this? Hello NdukeAbasi, You can use about 20k to create a blog and start selling your products. Success! Tank u ifiok. Will get back to u as soon as d face bk is opened, while our lessons continue. ur a blessing. may God give u more increase. pls can i open a face bk n base on religious issues n still make money? i’v had dis desire for long now n its an area dat is really an issue in families n d world. God bless u Ifiok. I want to thank you for this free email service as it has opened my eyes to opening an e-commerce site. Pls, I want to know the cost of building an e-commerce site with full functionality of online payment and the best online payment system I should use. Would also love to know the simple things needed to have a good running site, mailing list and other things I might have missed out. Am expecting a reply soon, thank you.. 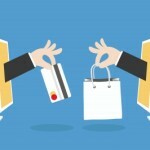 The cost of building an eCommerce site depends on the level of the business and integration. Most of the eCommerce CM software are actually free e.g WordPress + WooCOmmerce or Magento. 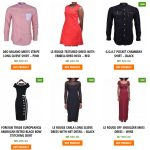 Konga Online store is built on Magento. However, integration or plugins are the expensive things you will buy depending on the design and what you want. For me, I will simply use FREE WordPress and WooCommerce plugin to build my eCommerce website. It has all the functionality you need to make sales online. If you don’t know how to st it up, you can contact a professional to set it up for you. Fees may apply for setup. Generally, I do charge only NGN40,000 to set up a WordPress + WooCommerce platform. In terms of payment, you can use quickteller, webpay, vogue pay, online naira, simple pay etc. All of them support WooCommerce and anybody can buy from your online store using any debit or credit cards (ATM card). For payment integration, you will need to have a registration business to operate a business account and receive online payment from you store. In terms of mailing list, I recommend mailerlite. That’s the one I use. It’s affordable and it delivers very well. I will soon publish a comprehensive lesson on how to build a fully functional eCommerce website. There, I will try to put every other information I might have skipped here. Nice article , please how dose your readers make payment for the ebook? Is it through bank or the make the payment on the blog? How do i build a blog? How will I connect my account for the purchase money to be sent to my account and what platform are we going to create d EBook? @ Raymond, thank you for this vital question. In Nigeria, you can use direct bank deposit. i.e people will pay to your account while you deliver the product to them via email. This process works well even though it’s a bit cumbersome. However, you can allow your readers to pay directly to you using their ATM card if you use the services such as Vogue pay, quickteller, simple pay, paga etc. How did you get my mailing address and what are the chances/success rates for someone like me who has no experience, no blogs, no website, no training, etc? Hi Pepple, Nice to hear from you. You may have had a contact with me or bought something from me possibly from mypastquestion.com or through any of my free recourse on Nairaland. I can’t figure out the exact situation that warranted you to join my list because I have very many strategies I use to build my list. This is called email marketing which is what you need to learn too. Sure, what I am giving here is just information (just like any other lesson). It’s useless until you use it. However, although the information is tested to be accurate, the chances of success depend solely on the user of the information. If you so which to learn it, there no harm at all considering the necessity of internet literacy in our human existence. So, you could simple give it a try and forget about the fears. ur instructions in one of ur post on how to buy a domain nd host ur blog which i hv done nd now when i type in name blog name on Google it will show error. Please i need ur help on how to resolve ds. Okay it’s simple to create an app Mobile Apps Made Easy: 1. Create 2. Customize 3. Connect. No Coding Required, Try it Now! Sir, how do I get to make them pay for it? How do I create the buy it now button on my blog to link it to my bank account? Please sir,which website can I go and create the account. @ Joseph, what do you want to create account for? I really would like to start my own e-book, but how do I go about it?